Polygon has published some new comments from Captain Toad game director Shinya Hiratake and producer Koichi Hayashida. The two discussed a variety of topics, including why it was brought back for Switch and 3DS, its future, and more. Nintendo’s Koichi Hayashida wants to see Captain Toad “featured in a variety of games”. It also seems as though Hayashida would be interested in having the character end up in Mario Kart. That information comes from the latest issue of GamesMaster, which contains a short interview with the Captain Toad: Treasure Tracker producer. At this stage we don’t know. I personally want to see him featured in a variety of games. I’ve even ‘secretly’ emailed the director of Mario Kart to see if he’d consider including Captain Toad, but I haven’t heard back from him yet! Through the development of this game I’ve grown even fonder of Captain Toad. he can’t jump, and struggles to defeat his opponents, but it’s precisely that he is not a powerful character that he can show us his unique take on all these situations. as a developer of his game, and one of his fans, I look forward to seeing where he goes next. Nintendo Life recently caught up with Captain Toad: Treasure Tracker director Shinya Hiratake and producer Koichi Hayashida. Among the topics discussed include potential interest in having Captain Toad, Toadette and the other Toads appear in more of their own games down the road. 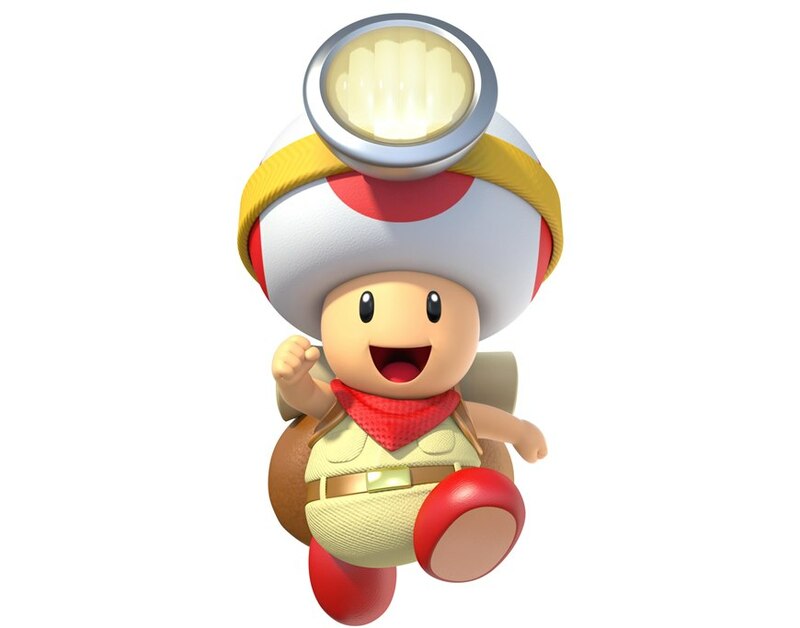 Here in the development team we’ve really come to love Captain Toad and the Toad Brigade from Super Mario Galaxy! We’re really happy to have been able to make a game where they are the main stars. I hope we’ll be seeing them pop up in all sorts of other places in future. 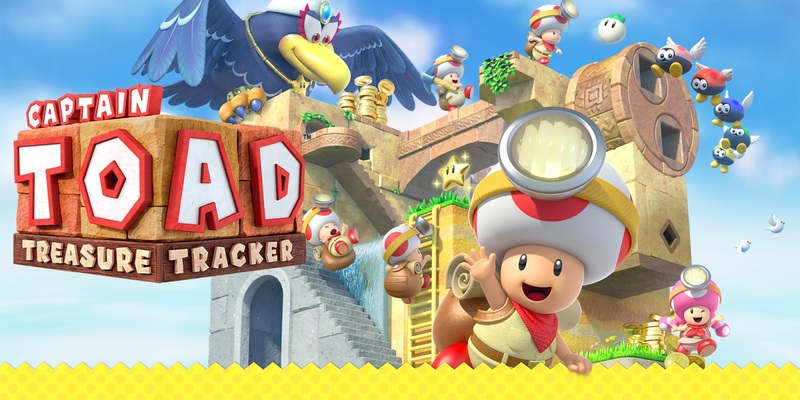 In Captain Toad: Treasure Tracker, it feels like we managed to recreate the fun of the games we used to play on the NES, but with a modern twist. I worked on this project in parallel to the NES REMIX series [titles available on the Wii U eShop and 3DS] where we pick up some of the best bits from games on NES. I was thinking it might be interesting to turn some of the games there into box worlds like this too. Those of you who enjoyed the Time Attack mode in Captain Toad: Treasure tracker might also like the Time Attack challenges in NES REMIX. I hope you try them out and enjoy! 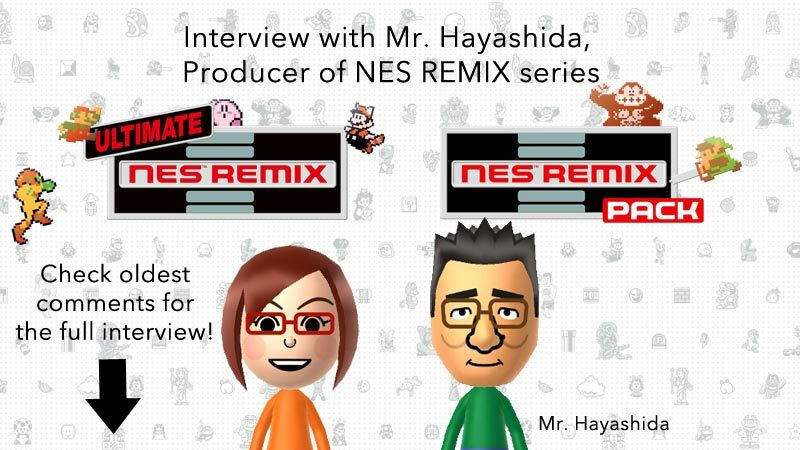 A couple of days ago, a Miiverse interview was conducted with Koichi Hayashida about Ultimate NES Remix. Hayashida explained how the 3DS compilation came to be, revealed that the team wasn’t sure it it could be released until roughly a month before it was completed, and more. You’ll find all of Hayashida’s comments below. IGN published a new interview with Captain Toad: Treasure Tracker producer Koichi Hayashida and director Shinya Hiratake. 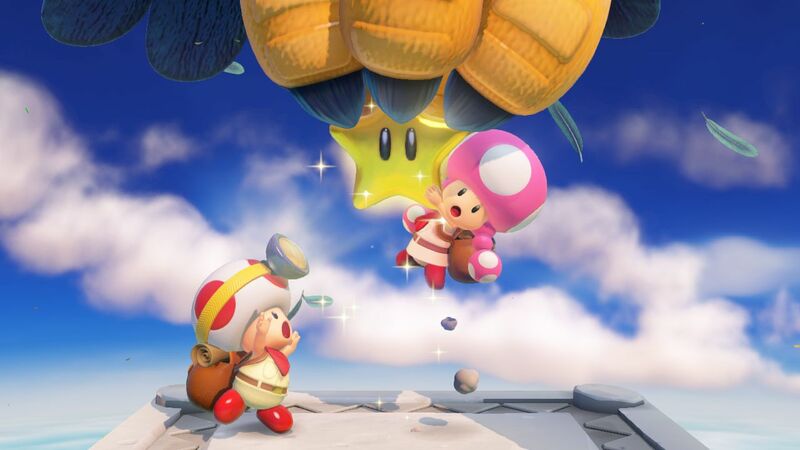 The two commented on various topics, such as Shigeru Miyamoto’s influence on the game’s development, how Toadette was made playable, and plenty more. Head past the break for a few noteworthy interview excerpts. Be sure to check out IGN’s full piece here as well. Interestingly enough, Nintendo did not truly settle on a specific gender for its Toad characters from the Mario universe. That’s despite the fact that Toad takes on the appearance of a male and Toadette has female characteristics. Polygon recently caught up with Captain Toad: Treasure Tracker director Koichi Hayashida and producer Shinya Hiratake. The two spoke about how the game came to be, and shared plenty of development information. Read on below for a summary of the interview. Also be sure to check out Polygon’s full piece here. EDGE has published its full Super Mario 3D World interview/article with directors Koichi Hayashida and Kenta Motokura as well as producer Yoshiaki Koizumi. New concept art from the game is now available as well. You can find some quotes from the three Super Mario 3D World devs below (with even more on EDGE). The concept art is posted above.